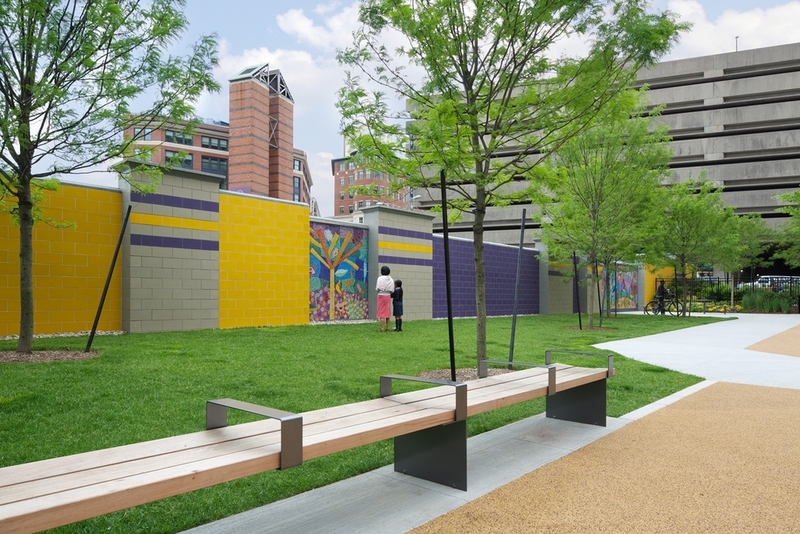 Formerly an underutilized piece of land in the South End, client John Hancock tasked Halvorson Design with creating a found community space honoring neighborhood advocate, Frieda Garcia. 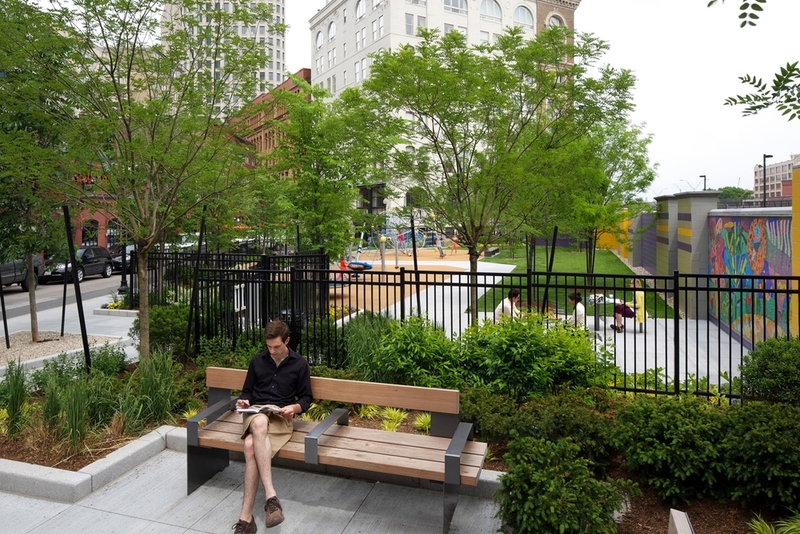 Halvorson Design programmed two unique spaces within the site—a children’s playground and a “brown bag” space—to accomplish John Hancock’s goals and activate the oft-overlooked Stanhope Street. The playground provides a safe, lively space for children of all ages and incorporates colorful mosaics inspired by South End children’s drawings and designed by local artist, Lisa Houck. The brown bag space sits as a strong entry point on its western edge, drawing patrons from nearby cafes and restaurants to cross the street and linger. 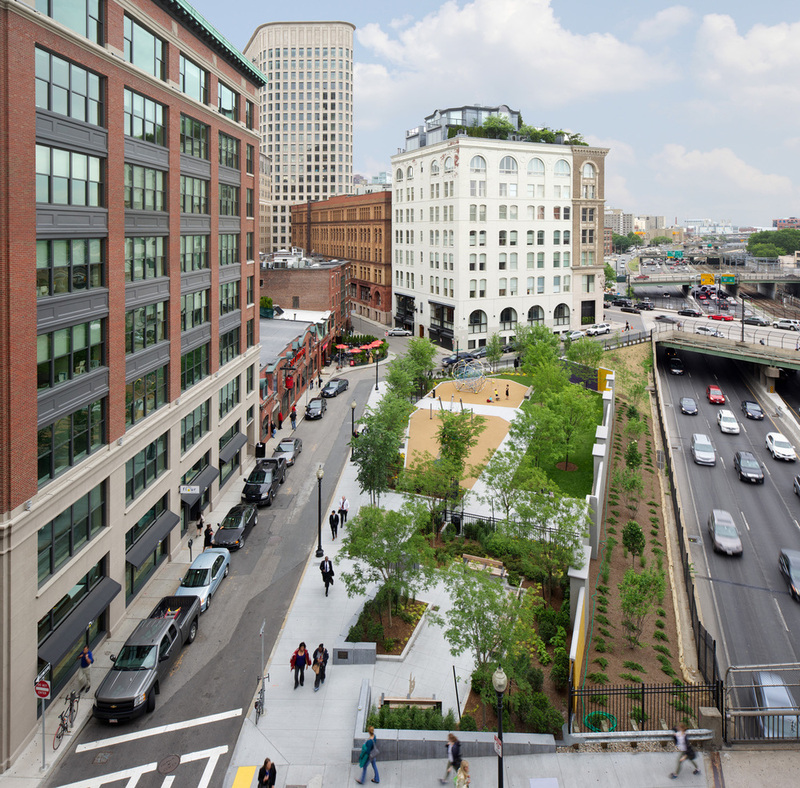 In the years since it’s opening, the park has successfully attracted retail spaces with a street-facing presence, and as a result, has activated Stanhope as a link between the South End and Back Bay neighborhoods.